If you’re worried about the germs on coins and banknotes, you’re probably someone who handles them a lot. Thankfully, there’s no need to panic about the sorts of germs that are transferred when banknotes and coins are handed to you at the till but according to scientific research there are more germs on the average one pound coin than on a toilet seats. The guys who have done all the research on this have an ulterior motive as the work was carried out by MasterCard. Perhaps their research into the germs carried on banknotes was done to encourage more of us to use their payment cards instead. Even if there’s an ulterior motive, their research is enlightening. The study took place across Europe so these stats aren’t perhaps exaggerated when taken from a British point of view. According to the study, only one in five Europeans wash their hands regularly. Men are more likely than women to avoid washing their hands. Apparently, those in Hungary and France are the most aware of the fact that germs are carried on coins and banknotes but that doesn’t mean they wash their hands more often than others in Europe. The average banknote across the continent carries something like 26,000 bacterial colonies. Studies show that the UK’s are among the worst for dirt and bacteria. 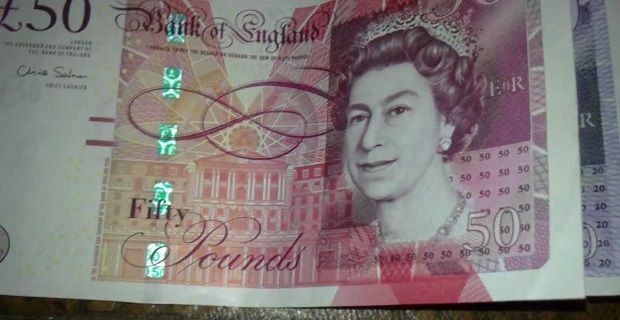 The Bank of England has taken note of this and will issue future banknotes on plastic. These notes will be surfaced with a substance that allows them to be wiped clean but they will be just as hard to reproduce as current notes. A firm called Innovia Security will provide the new polymers that will be used to create the new banknotes. Thankfully this isn’t new technology as Australia’s been using polymers in its notes since 1988 so no hitches are expected when the new notes are introduced to the economy.